Heres a lo i did, bit of a wonky scan and a bit missing! never mind , i really loving the look of Ali Edwards she was my inspiration for this . Ithink i really need her new book!!! I know i cant buy but i just got some fab stanps from technique tuesday seen on my lo, im trying to diet still must concentrate on it now and and get tham los in . No more buying! Bit too hot to scrapbook though dont you think! 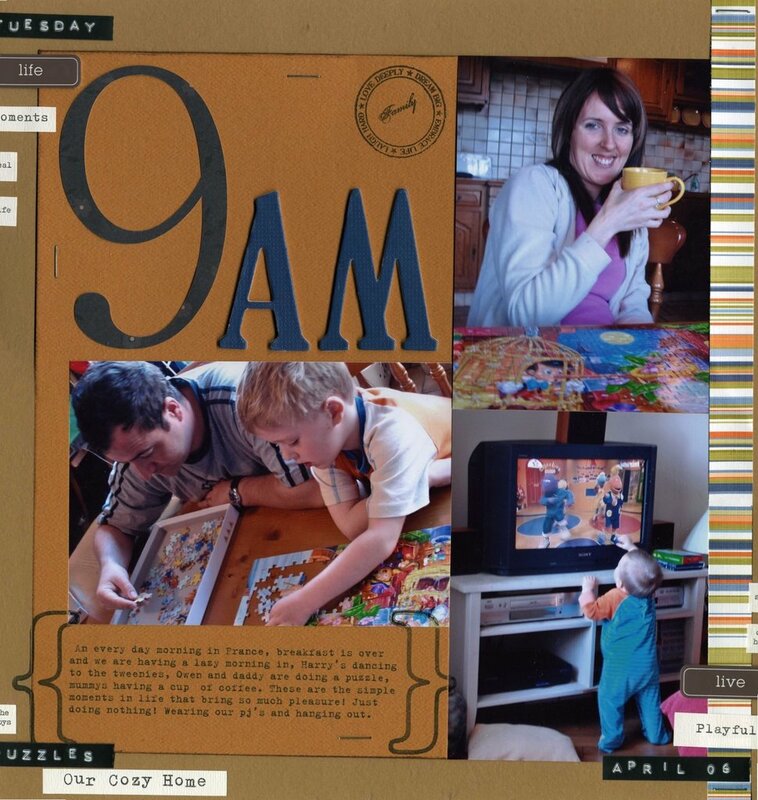 great layout, it is to hot for scrapbooking. I wish i could do you diet i keep buying and still not scraping!! Hope the boys are all better. Love that LO. I love Ali Edwards too. What is her new book? I saw you question about the scallops I do…and someone said that I cut circles-and she was right!!! I use a circle cutter to get larger scaollops & cut them in halves!! It’s more work…but I like the look in the end!!! Great layout!! I love the theme of it, lol. I agree with Nicola about buying and not scrapping.. its terrible! I have a few bags sitting it my scrapbook room not opened because I’ve only bought and not scrapped!! !